In 2006 the world celebrated the 250th anniversary of Wolfgang Amadeus Mozart’s birth. Lavish festivities were held and the opportunity for commercial exploitation wasn’t missed. You see Mozart these days is more popular than ever. The Mozart music industry is big business and he’s even become a health fad. The man Mozart has been cast in many roles. His brief 35 year human life has been carefully examined and contradictions and conflicting interpretations abound. Authorities claim the movie, Amadeus, presents a far from accurate picture; while modern psychologists detect an infantile-regressive personality. But this New Age tendency to intellectually over-examine the behavior in an attempt to understand the underlying psychology completely misses the point. Mozart’s human-life provided his soul with the opportunity to develop self-consciousness and to further develop, through experience, its innate potential. Viewed from this perspective he had a very successful life. His musical creations contribute to the common good — they allow other people to hear and experience sublime sounds that elevate their souls emotionally. The exquisite beauty of his music continues to have a beneficial influence on this harsh and sordid world. His human-life was a merger of previous experience (stored in memory as character traits), new environmental conditions and conditioning by current experience. Wolfgang Amadeus Mozart was born January 27, 1756 at 8.00pm. The place was Salzburg, Austria (13E03; 47N48). His father noted the time in a letter he wrote shortly after the birth, but it won’t be precise. It’s been rounded off, but who knows by how much? The practice at the time was to record the birth hour so it’s presumed he was born closer to 8.00pm than 7 or 9 pm. This means his chart and its mathematical model won’t be 100% accurate, but it will provide personal life-data not otherwise attainable. The ascendant moved to the second decanate of Virgo at 7.45.25pm and stayed there till 8.40pm and Uranus moved from house 7 to house 6 at 8.02.55pm. Mozart’s life can be summed up as a series of fortunate and unfortunate experiences, but he was born into the right family. His father, Leopold, was a composer (like minded souls have a natural attraction) and his home-life environment provided music. He was trained by his father and as a child showed astonishing precocity. At 5 he wrote his first musical composition. His works include 27 piano concertos, 23 string quartets, 35 violin sonatas, 41 symphonies and 22 operas. He was a very busy and prolific composer. Mozart’s career as a performer began in 1762 when he was taken on his first tour to Vienna. He was six years old. Not unlike a modern day pop-star composing, performing and touring were an important part of his musical life. In 1772 he was appointed master of the archbishop of Salzburg’s court band. He didn’t particularly like this position and was suddenly dismissed in 1781. On July 3, 1778 Mozart’s mother died. This loss resulted in strained relations with his father, who blamed him for her death. On August 4, 1782 he married Constance Weber. Their first child, a son (Raimund Leopold) was born June 17, 1783 — died August 19 from intestinal cramp. On September 21, 1784 a second child, Carl Thomas, was born — died October 31, 1858. On December 14, 1784 Mozart was accepted into the Freemason Lodge as a first rank apprentice. On October 18, 1786 a third child, Johann Thomas Leopold, was born — died November 15. On May 28, 1787 Mozart’s father died. On December 27, 1787 Mozart’s fourth child, Theresa, was born — died June 29, 1788. On November 16, 1789 a fifth child, Anna Maria was born — lived one hour. Franz Xaver Wolfgang, Mozart’s sixth child was born July 26, 1791 — died July 29, 1844. And on December 5, 1791 Mozart died at one o’clock in the morning. He was 35 years old. In 1782 after marrying Constance Mozart settled in Vienna where he embarked on a punishing freelance career as a concert pianist, composer and teacher. This brought lasting fame, but little financial security. He made a financial living through teaching and composing, but always had problems getting paid work. He was penniless at 22. He promoted his own concerts and loved to gamble and play games — billiards and cards. 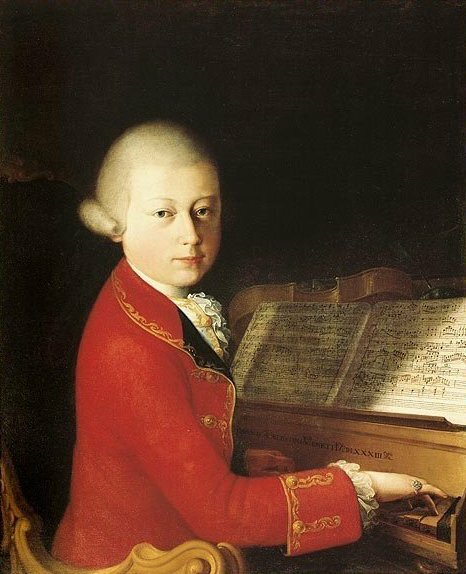 In appearance Mozart was small — less than 5 foot — with blonde hair. His genius only displayed itself in his music and his daily-life behavior was simply a reflection of the times. His capacity to make and handle money was not good and he was plagued by financial difficulties that may have frustrated his musical creativity. Child birth at the time was risky and the loss of 5 children, while tragic, was probably accepted as God’s will. He was a victim of external circumstances — like the Seven Years War (1756-1763) and the French Revolution (1789). The dark side of his soul displayed itself as frequently recurring black thoughts, but there were happy years. He was not a pauper when he died — as so many commentators claim. The Mozart myths abound. 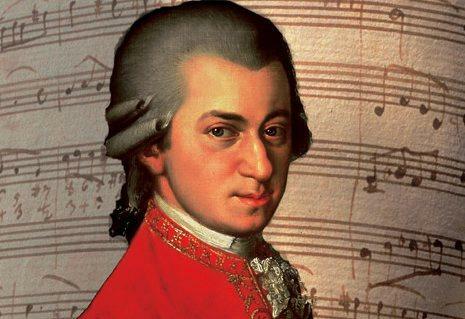 Genius displays itself as an exceptional mental power or attribute and Mozart was a unique and rare musical talent. His genius displayed itself in his capacity to compose and create music. He had a great empathy for the human emotional condition and his music conveyed incredible sensitivity. He had a remarkable capacity to transform the emotional states he felt — happiness, joy, romance, sadness, anger and despair — into music. His real genius was this capacity and ability to convert emotion into music and he invested a huge amount of emotional energy in his music. Mozart was a romantic and energetic music maker. His music displays a spectacular sense of energy and a pronounced dramatic flair. He set wit, humor and surprise to music. His own life provided a labyrinth of complex thoughts and feelings ranging from fearful black thoughts (Saturn) to exquisitely beautiful feelings (Neptune) and emotional events in his own life stimulated his creative urge. Like all creative people his music conveyed his own state of mind. Astrologers look to certain birthcharts to explain unusual talent. They want to see what the thought-cells in the unconscious soul-mind are doing and the birthchart acts as a reference point. It reveals what is going on in the unseen realm of unconscious realities. Mozart’s character was profiled in his chart and like all human souls his life, aptitudes and achievements were character-specific. Each planet in the birthchart varies in its strength and the dominant planet — the one with the most power — has the strongest influence. Average power is 8.3% and those planets with above average power are classified as prominent. They mark for unconscious thought-cell activity that is sufficiently active to influence the thinking and behavior throughout the life. It’s the unconscious thought-cell activity that pulls the strings — not the planets — and both the thought-cell activity and the influence of the planets can be monitored and managed. The prominent planets mark for planet-specific abilities that can be developed through training and practice. And Mozart’s prominent planets were Moon in house 4, Neptune in house 11, Mercury, Sun and Saturn in house 5, Pluto in house 4 and Uranus in house 7. But the house position of Uranus is uncertain. In the 8.00pm chart Uranus is in house 7, but it if he was born after 8.02pm it’s in house 6. This would reduce its astrodyne power and its prominence grading. But with Uranus also ruling the sixth house cusp clarifying its true house position is not easy. His marriage was not of the Uranus type. At the time of his marriage — August 4, 1782 — progressed aspects involving progressed Mercury and progressed Venus in house 7 had turned his marriage thought-cells on. 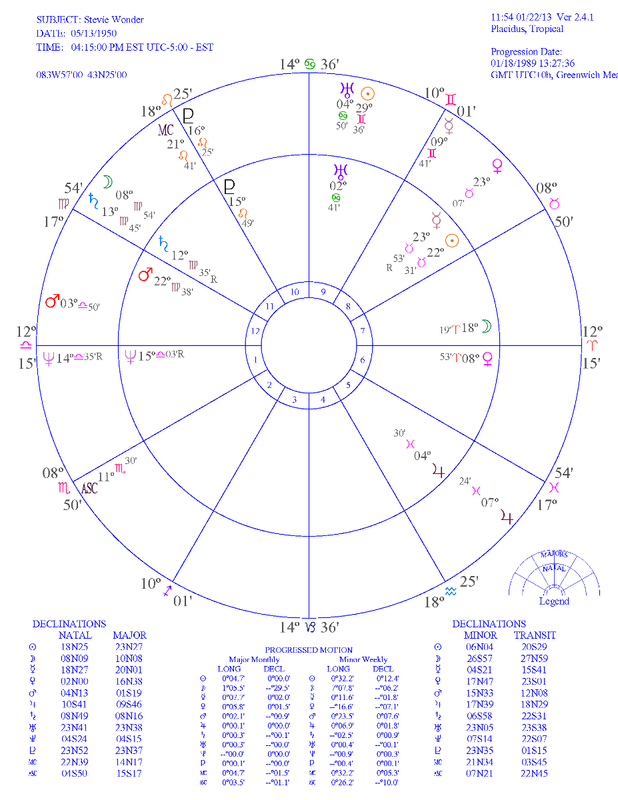 Progressed Mercury (at 22 Pisces 16) had formed a friction (semisquare) aspect with birthchart Sun; and progressed Venus at (2 Aries 09) had formed an obstacle (square) aspect with progressed Mars (at 1 Cancer 22) and an opportunity (sextile) aspect with birthchart Saturn. The Venus-Mars progressed square activated a high-harmony natal trine. Uranus was not activated by progression. If Uranus is in house 6 its disruptive eccentricity would have influenced his work and sickness life — not his marital affairs (house 7); but if the birth time is reasonably accurate Uranus will be opposition the ascendant mapping personal eccentricities and high-nervous tension that would adversely influence (opposition aspect) his nerve health. All things considered Mozart had his fair share of sick days. He experienced regular bouts of illness throughout his childhood years. In January 1763 he fell ill with rheumatism of the joints. In November 1765 he was diagnosed with typhus of the stomach. In November 1766 he suffered a recurring bout of rheumatism and in October 1767 contracted smallpox. He then maintained quite good health until November 20, 1791 when he fell ill and became bedridden. He died two weeks later on December 5 — most likely from rheumatic fever and kidney failure. The Moon and Neptune are the astro-markers for music and musical ability. Pluto, the upper-octave of the Moon, plays a supportive role. The Moon thought-cells confer time, tune and a sense of rhythm. They give an aptitude for melody. With the Moon in house 4 (home and father) his home environment provided music; and with the Moon trine Neptune music was an environmental influence that had easy access to the genius (Neptune) thought-cells in his unconscious soul-mind. The prominent Neptune marks for unconscious thought-cell activity that sources a deeper, more subtle, quality of feeling and dramatic ability. His more intricate (Neptune) thoughts and emotions turned his interest to cultural music and symphonic work. The prominent Neptune also marks for promotional skills and he promoted his own concerts. The prominent Sun, planet of entertainers, marks for a very active desire to perform and entertain and Mozart was a stage entertainer who wrote and performed his own musical creations. House 5 — the stage and theater environment where he performed — was the dominant house in his chart. With the Moon conjunction Pluto in the outgoing and boisterous sign Sagittarius Mozart was a high-spirited and lively soul. He had an enthusiastic, sportive mentality. The Moon-Pluto conjunction was in the second — exploration — decanate of Sagittarius. It marks for unconscious mental factors intent on searching out new fields of mental and emotional endeavor and a constant alertness for new information. It also marks for restlessness, depression and discontentment — destructive mental responses to confinement and restriction. Mozart functioned at his creative best when his mind was engaged in creating music worthy of his best efforts. Sagittarius is the sign of religion. It marks for an interest in religion and he was a catholic and a mason. With Virgo on the ascendant Mozart was very self-critical. It was high in discord and his well developed critical faculties were inclined to express as destructive criticism rather than constructive analysis. The second — experience — decanate marks for an eventful life, great temptations, unusual powers of discernment and discrimination and a strong desire for worldly fame and honor. His Virgo personality type could undertake and accomplish, by sheer hard work, gigantic tasks. The Sun and Mercury were in the first — originality — decanate of Aquarius. It marks for unconscious mental factors that source originality and inventiveness and there’s alertness for new and unique ideas too. Aquarius was the dominant sign and Mozart was an acute observer of human nature. He also had an exceptional understanding of human emotion. To succeed you need drive and ambition — Saturn — and with a prominent Saturn (conjunction Sun and Mercury) Mozart was loaded with ambition and persistence. He had the capacity to labor long and hard. With Neptune in house 11 (friends) he composed for his friends; and with Saturn, the planet of aches and pains, conjunction Mercury (ruler of Gemini — hands) his fingers ached from composing. And with Mercury, the communication planet, forming a high-discord separation (opposition) aspect with Neptune he had a talent for saying the wrong thing. Venus, the astro-marker for artistic ability and Mars, the marker for creativity were not prominent, but their exact high-harmony luck (trine) aspect produced and maintained a creative biochemistry that supported artistic creativity. Mozart, like all creative people, was highly sexed. Mars, the planet of strife and conflict, was in house 10 (his mother). It was cusp ruler of house 8 (death) and opposition Moon in house 4 (his father). 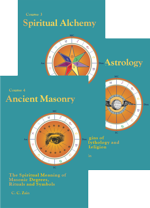 The unconscious thought-structure mapped by Moon and Mars explains the conflict he experienced with his father over his mother’s death. Saturn, the astro-marker for loss and grief, was in house 5 (children). Jupiter, the thoughtless, wasteful planet was in house 2 (money) and Mozart’s financial situation was subject to abundance and self-indulgent extravagance (Jupiter). Astrological research has found that it’s the volume and intensity of the thought-cell activity mapped by each planet in the birthchart that determines the natural aptitudes. So the planets with above average power mark for natural aptitudes that can be transformed into ability with proper training. Harmony facilitates their development, but discord does not decrease ability. Discord can attract difficulties when trying to develop ability and it can attract unfortunate events when the ability is being expressed. Yet, if the ability is sufficiently pronounced, outstanding success in its use can be attained in spite of obstacles and difficulties. Mozart’s prominent planets — Moon, Neptune, Mercury, Sun, Saturn, Pluto and Uranus — provide an astrological profile of his outstanding aptitudes that, with training, were turned into ability. Mozart’s music today is more popular than ever — in fact his fame keeps growing. New Age technology has increased his accessibility. The Mozart industry now embraces health fads and healing. His music is used to treat all sorts of childhood and adult disorders. And some even claim that Mozart can enhance brain power. The exquisite beauty of Mozart’s music can certainly uplift the soul, elevating it to a higher emotional state. And as emotional love plays an important role in the soul’s consciousness development his music may make the soul smarter as sensations and feelings transform into more love. Modern science is unable to explain the powerful influence that music has on conscious emotional states. Its soothing effect cannot be explained. Music can certainly bring emotional peaks that enhance performance and awareness. Neurosurgeons track the effect of music on the brain’s electrical discharge patterns, but these patterns only mirror unconscious thought-cell activity. Music therapy is a registered health profession in Britain and it’s being used to treat mental and other illnesses. But all things considered little is understood about the psychological and physiological effects of music. Your soul or unconscious mind operates below the threshold of conscious awareness. It resides on the astral plane and has a capacity to sense inner-plane conditions — to tap the inner-plane for information about some subject — and remember what it apprehends. This unusual ability is known as extrasensory perception — ESP — and if it’s sufficiently active it can produce genius. 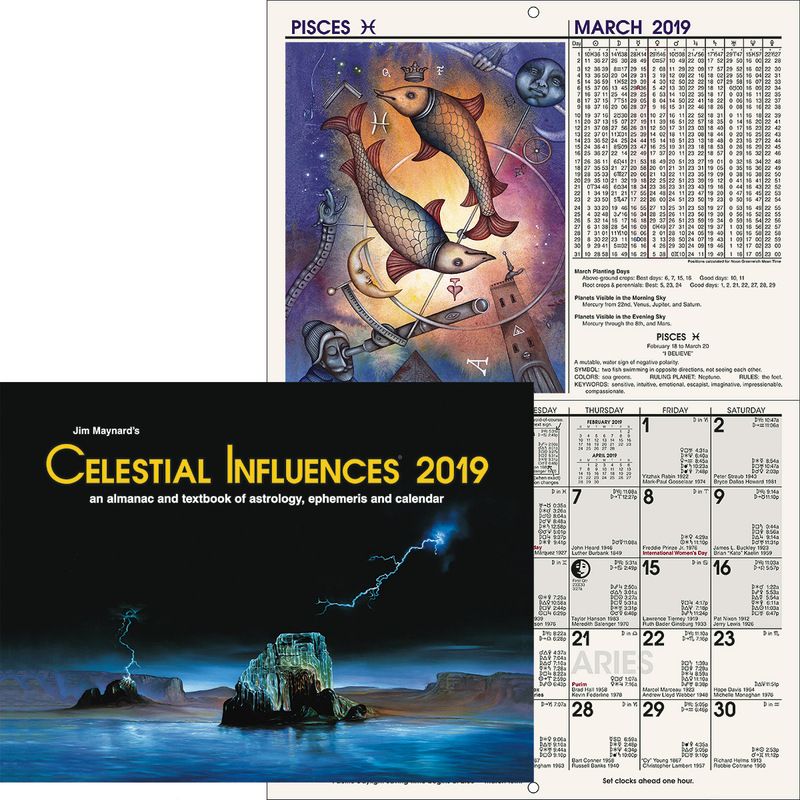 It is chiefly mapped in the birthchart by Neptune and your personal potential to employ ESP and through its use direct skilful endeavor is determined by the prominence of Neptune in your birthchart. Due to the nature of astral substance the astral planes are a storehouse of information and knowledge and all genius, usually unaware of the process, is able to tune in, via extrasensory perception, to this knowledge and then electronically transmit the unconsciously acquired information through to the brain where it appears on the screen of consciousness as conscious awareness. Genius is thus the ability to contact knowledge on the higher planes and present it to less capable minds. It’s a mental activity that requires a biochemical condition in the human nervous system that supports ESP. And the capacity to develop this ability — consciously or unconsciously — is determined by the prominence of Neptune — the ESP planet — in the birthchart. The human nervous system generates electricity and electricity has a positive or negative frequency. The frequency of the electricity being generated is planet-specific. Neptune for example marks for a nervous system where the electricity being generated operates on a negative phase and the wavelengths being radiated are shorter and of a higher frequency than those generated by Uranus. The Neptune nervous system is far more sensitive than the Uranus nervous system and each system supports a particular type of mental activity. The higher frequency electrical potential being generated by Neptune is negative and receptive. It supports feeling ESP. The Uranus electrical potential is positive and controlling. It supports intuition and intellectual ESP. The Neptune electrical wavelengths are specifically adapted to sensing happenings on the inner-plane and the Neptune nervous system is specifically adapted to bringing up into the conscious awareness, through the electrical charges being generated, whatever is seen, heard, tasted, smelt or felt by the soul senses. This means that whenever Neptune is a powerful influence in the birthchart that the electrical wavelengths he imparts are suitable for sensing happenings on the inner-plane. They enable rapport with things having a most diverse vibratory rate. The nervous system radiates electrical frequencies that readily permit information gathered by the unconscious soul-mind to float up, via the brain, into the region of conscious awareness. These Neptune mental factors — the Neptune thought-cells — enable the unconscious soul-mind to freely express what it feels and perceives through the chosen field of endeavor. They can see, hear, feel and comprehend things on the inner-plane. While the conscious attention is engaged in learning some subject the unconscious attention is pro-actively seeking inner-plane information about the same matter. When active the ESP faculty is able to pick up information from the inner-planes which no other person has previously known. And the capacity to do this is the real source of genius. Mozart having this ability was able to tune in on the music of the spheres allowing less capable minds to hear and experience the exquisite music being performed there by the astral orchestras. Neptune — the spark of genius — played a very prominent role in his musical life. Neptune marks for genius because it is the ESP planet and genius is the manifestation of extrasensory perception in a remarkable degree relative to a particular subject; yet many people with a dominant or prominent Neptune do not display genius. There are many grades, but real genius must have a prominent Neptune, Uranus and Pluto — all three planets in the birthchart having above average power. Genius usually displays itself in a single line of endeavor. It must operate in a human-life environment and is conditioned by experience. It is very often ignorant of financial, health and other practical daily-life matters. Genius in children is the result of accelerated (precocious) development and this situation requires a supportive electrochemical condition that’s primarily induced by the Neptune thought-cells. Due to an accident at birth (too much oxygen found its way into his incubator) Stevie Wonder is blind, but as often occurs his sense of hearing compensates. When he was four his family moved to Detroit and he heard rhythm and blues music on the local radio stations. His musical development was assisted by friends, neighbours and local clubs who gave him musical instruments — harmonicas, pianos and drum kits. News of his talent soon spread, Motown auditions were arranged and a recording contract signed. On August 10, 1963 Fingertips reached the #1 on the US music charts. He was thirteen years old. Hit singles, albums and music awards followed. His outstanding musical works include Innervisions (1973); Fulfillingness’ First Finale (1974); Songs in the Key of Life (1976) — it topped the US album charts for 14 weeks; Hotter than July (1980); Stevie Wonder’s Original Musiquarium (1982); and In Square Circle (1985). On January 18, 1989 Stevie was inducted into the Rock ‘n Roll Hall of Fame — he was 38 years old. Stevie Wonder was born May 13, 1950 at 4.15pm EST. The place was Saginaw MI (83W57; 43N25). Astrologer Lynne Palmer quotes him so the time comes from memory. If the same time is on his birth certificate it has a AA-3 rating. The prominent planets in his chart are: Neptune in house 1, Moon in house 7, Pluto in house 10 and Sun and Mercury in house 8. And Mozart’s chart had the same 5 planets prominent. Neptune, the ESP-genius planet, is his dominant planet, and with Libra his dominant sign he’s motivated by a powerful sense of social justice and fair play. The high-discord first house (it has 50 discordynes) marks for severe physical handicaps and the problems associated with being blind. 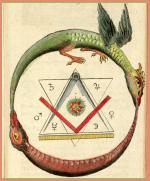 Unlike Mozart his prominent Sun forms an exact luck (trine) aspect with Mars — the planet of energy — and he generates an abundance of vital electrical energy which supports good health and recuperative power. 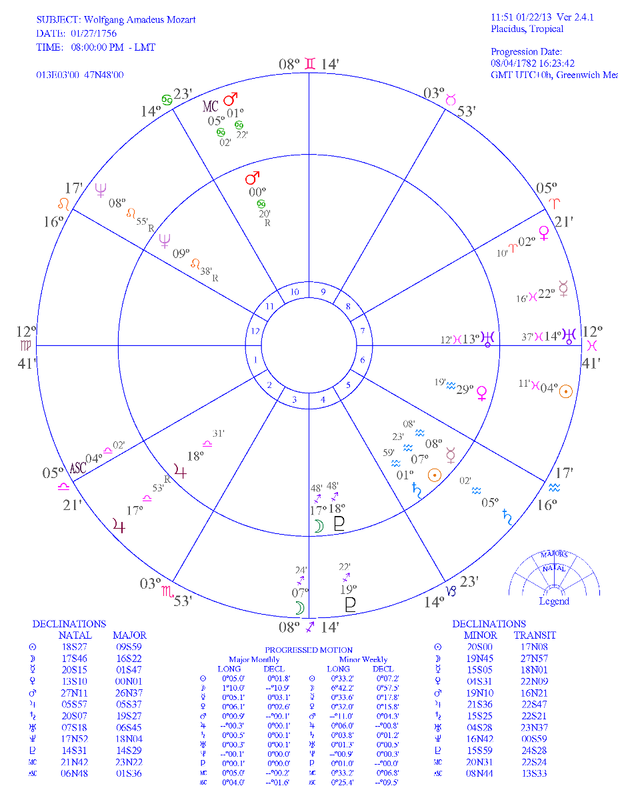 When he was inducted into the Rock ‘n Roll Hall of Fame on January 18, 1989 progressed Venus in his chart (at 23 Taurus 07) had moved to form a prominence (conjunction) aspect with birthchart Sun — planet of significance and acclaim — in house 8. So it was foregone conclusion that the event mapped by the aspect would provide his self-esteem (Sun) with a big boost. And progressed MC (at 21 Leo 41) had moved to form an obstacle (square) aspect with birthchart Sun, and a growth (semisextile) aspect with birthchart Mars. When it’s turned on by progression the MC maps events that influence the honor and reputation. Stevie Wonder’s chart and Mozart’s chart have striking similarities — particularly the prominent planet profile. The Moon aspects Neptune in both charts and both planets are high in discord. The Neptune discord indicates problems due to extreme sensitivity and misplaced idealism. The discord marks for difficulties and struggle but it doesn’t deny success. And success is best judged by the level of social usefulness that’s attained not the financial position. On his 21st birthday Stevie Wonder received one million dollars and at 22 Mozart was penniless. So a composer’s wealth doesn’t financial measure their musical talent. It may be viewed as a financial reward, but the real reward for effort is increased ability. One thing’s for certain, both Wolfgang Amadeus Mozart and Stevie Wonder have extraordinary musical talent. Enjoy the music. And happy birthday Amadeus.